A housing association has unveiled plans to spend £1bn building thousands of affordable homes in Teesside over the next five years. Thirteen, which already owns and manages 34,000 homes, claims the move will create 6,000 construction jobs. The Stockton-based association said 700 of the planned 3,000 new homes, would be for those with special needs. It said the "vast majority" of the cash would come from borrowing and grants from government body Homes England. Chief executive Ian Wardle told the Local Democracy Reporting Service 20,000 existing homes would be improved with new boilers, kitchens and bathrooms under the project. Up to 400 apprenticeships would also be created, he said. Mr Wardle added: "We borrow and with the rents we get in we pay off the loans over time - we have the financial strength to be able to do that." 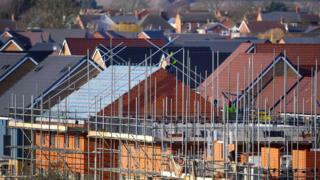 Most of the new homes are due to be built in Stockton, Thornaby, Hartlepool and Middlesbrough. Affordable homes are usually owned by councils or housing associations, where rent is controlled by the government and linked to average local incomes and the value and size of the property.